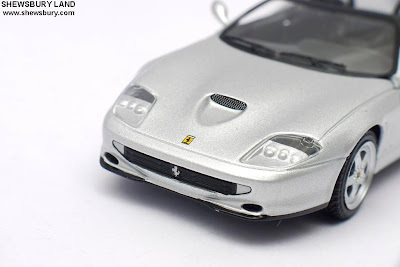 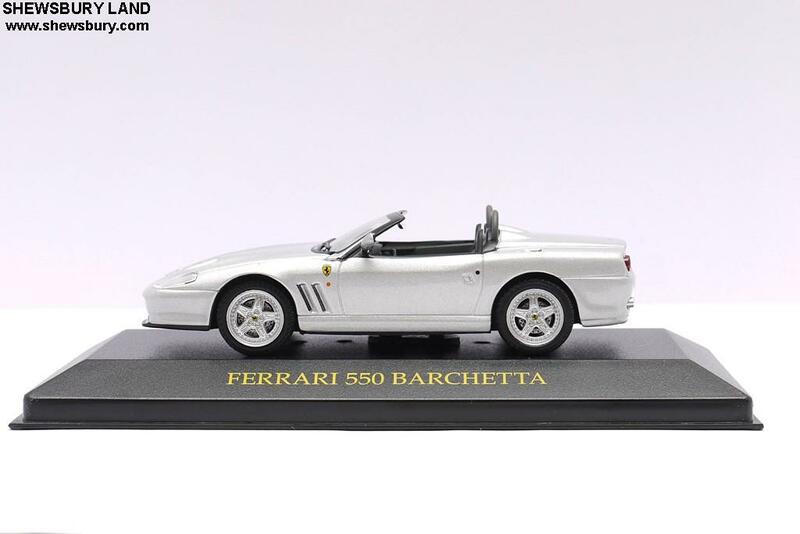 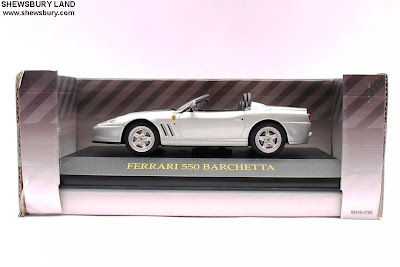 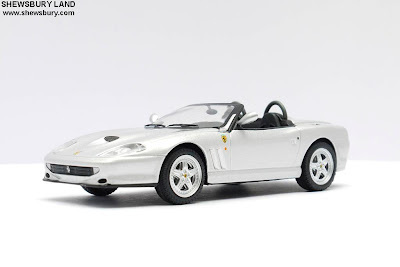 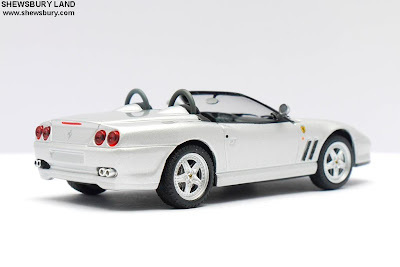 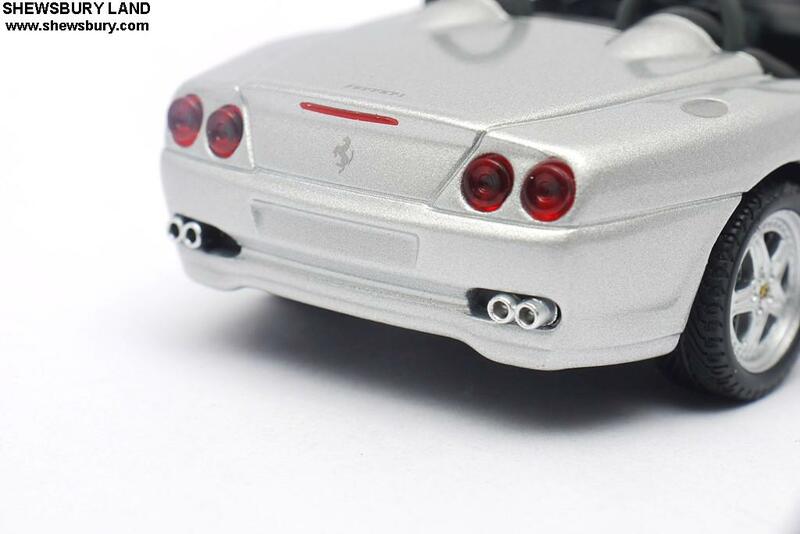 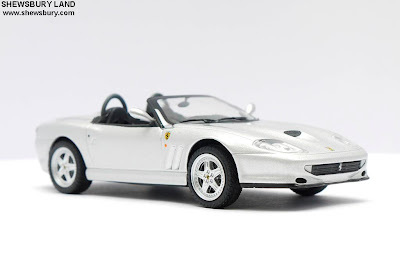 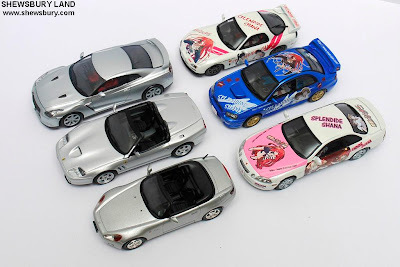 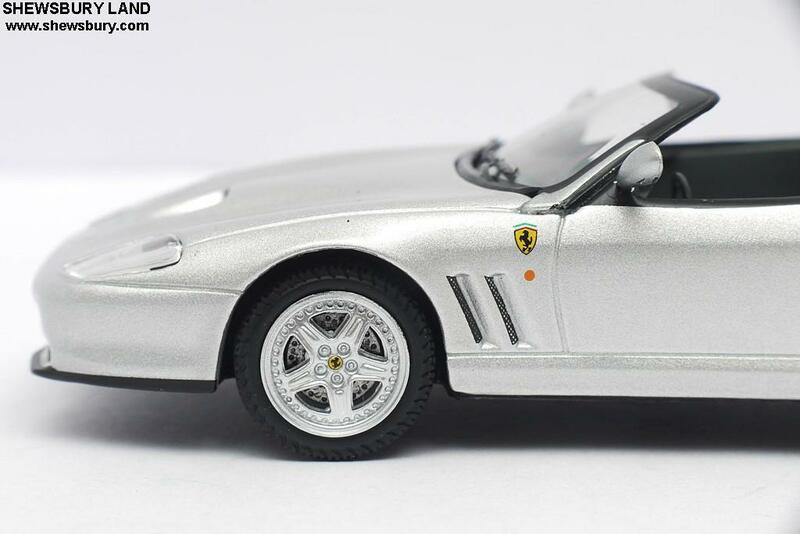 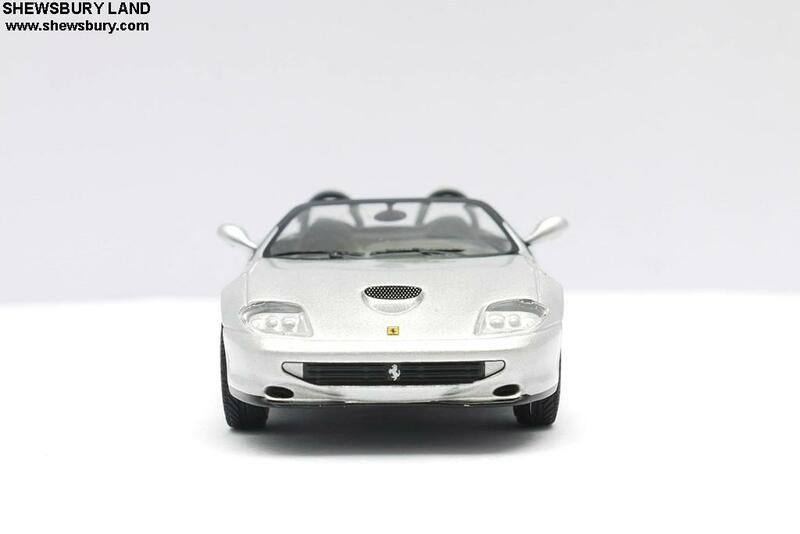 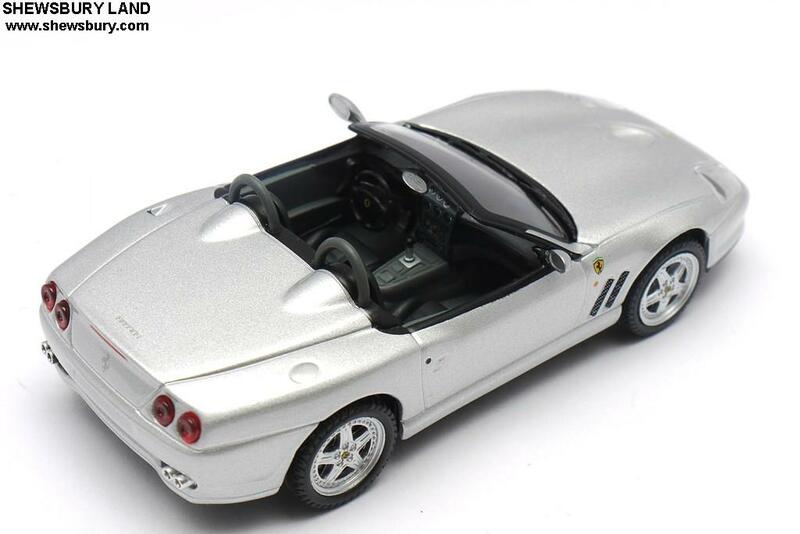 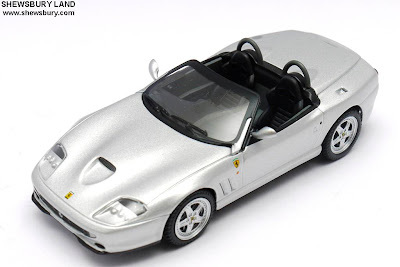 This is 1/43 scale die cast car model of "Ferrari 550 Barchetta" produced by Hot Wheels. 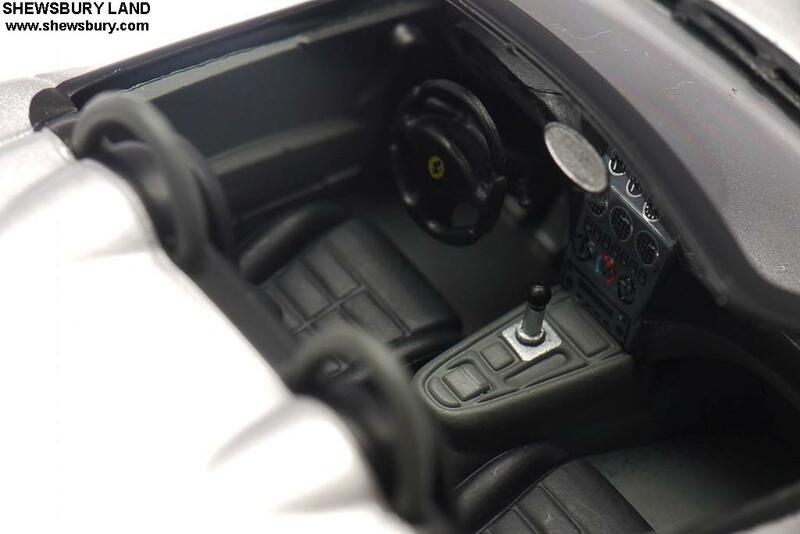 The Ferrari 550 Maranello and 550 Barchetta are 2-seat "grand tourers" built by Ferrari. 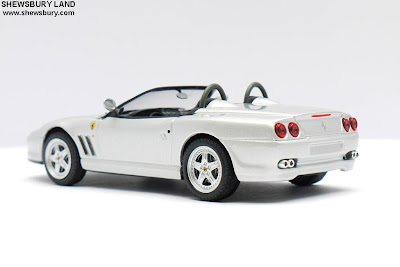 A grand tourer (Italian: gran turismo) (GT) is a high-performance luxury automobile designed for long-distance driving. 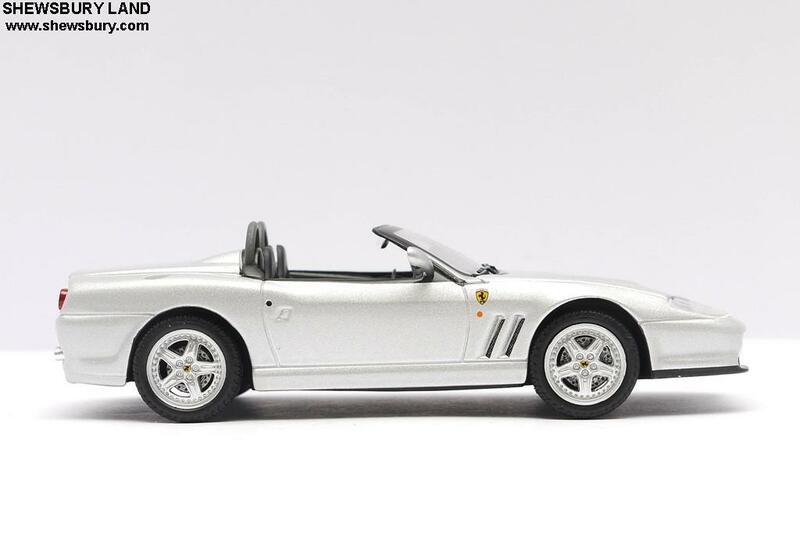 The most common format is a two-door coupé with either a two-seat or a 2+2 arrangement. 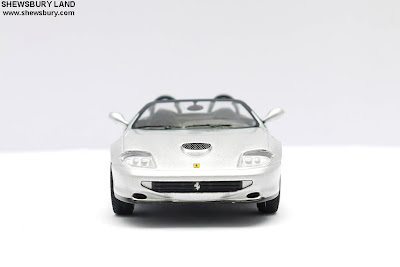 The term derives from the Italian phrase gran turismo, homage to the tradition of the grand tour, used to represent automobiles regarded as grand tourers, able to make long-distance, high-speed journeys in both comfort and style. 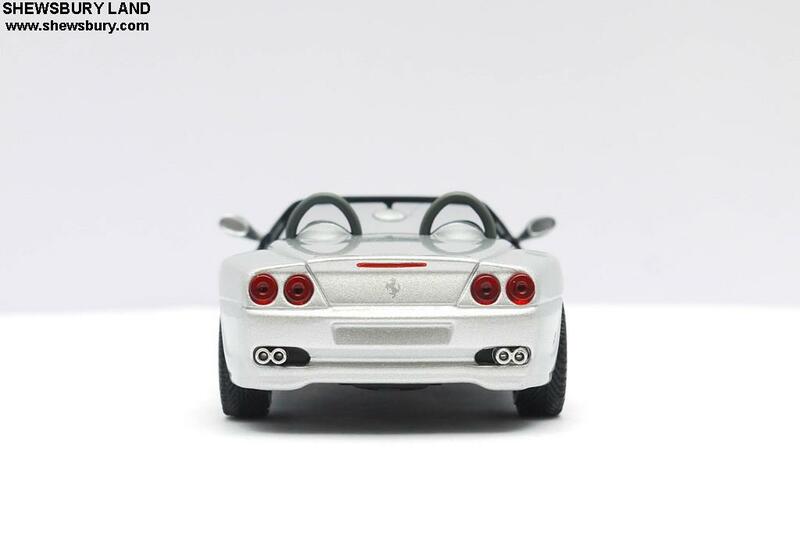 The English translation is grand touring. Introduced in 1996, the 550 was an upmarket front-engined V12 coupe of the kind not seen since the Daytona.The car used a transaxle layout, with the 6-speed manual gearbox located at the back, in-line with the driven wheels. The model number refers to total engine displacement (5.5 litres) and the model name of Maranello refers to the town where the Ferrari headquarters are located.The 550 featured a luxurious and roomy interior. 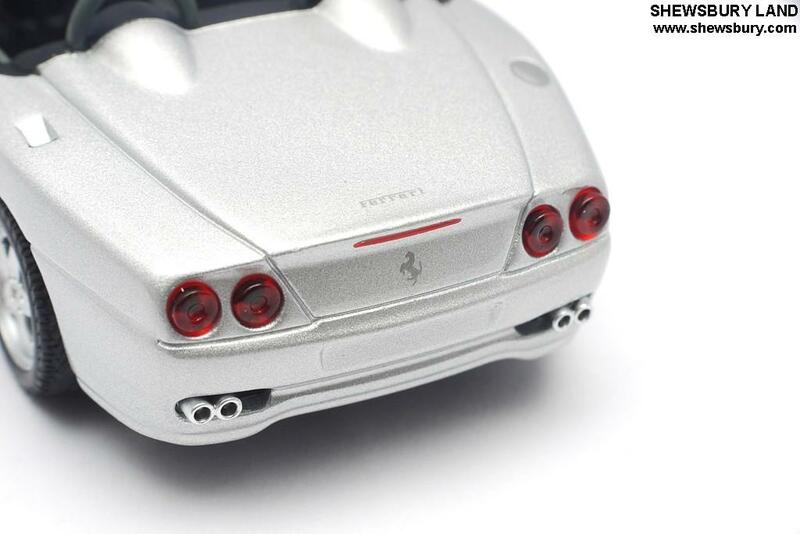 The (rear) trunk was tall and wide, though not very deep, and could accept a full set of golf clubs or standard overnight bags. 3,083 units were produced. 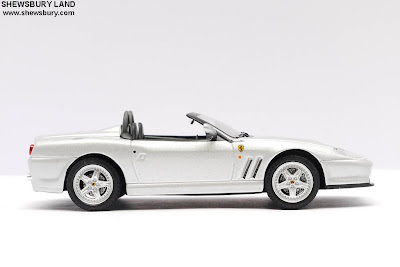 Ferrari introduced a convertible version of the 550 at the Paris Motor Show in 2000 (which is the scale model that we review now). This Barchetta was a true roadster with no real convertible top provided. 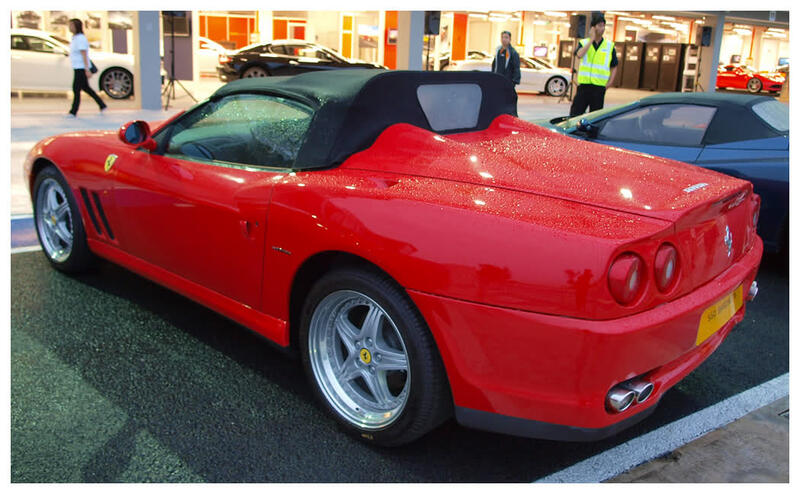 The factory did provide a soft top, but it was intended only for temporary use as it was cautioned against using the top above 70 mph (110 km/h). 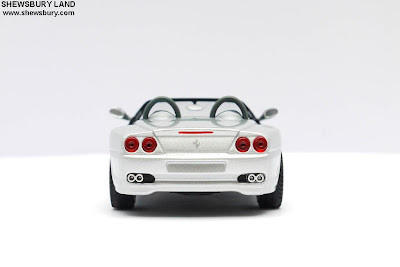 Obviously even at 1/43 scale this roadster is a beautiful sweet heart!!! I would prefer red color for this model but unfortunately Hot Wheels only produced the silver color - or maybe it's only the silver color for this model that I can see from the local shops in here. 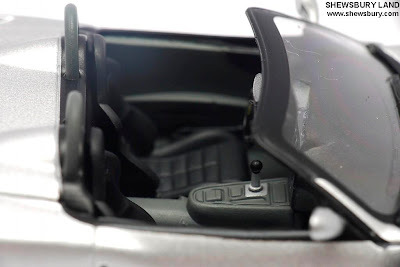 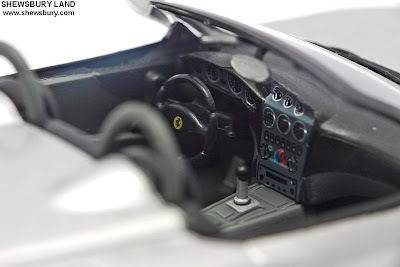 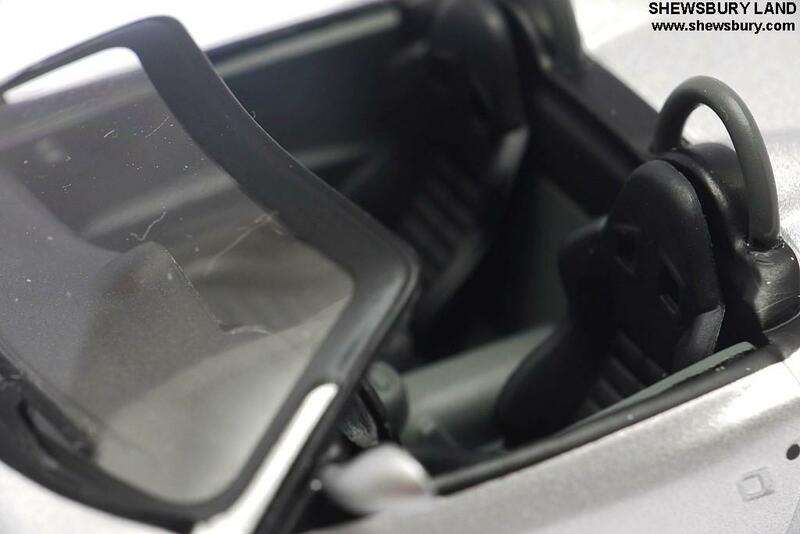 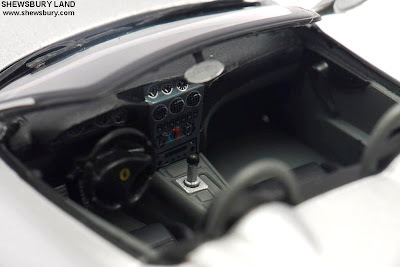 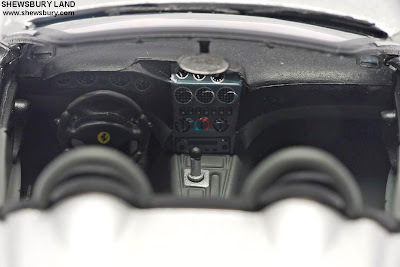 As you can see from several pictures about focusing on the interior detailing, no doubt that they did a great job on it even though most of them are using sticker but the finishing is quite precise. I personally quite happy with the level of interior detailing considering the scale of this model. 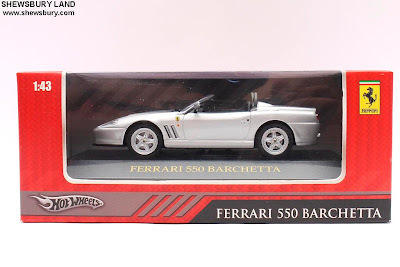 Overall, this is a brilliant die cast car model of Ferrari 550 Barchetta at 1/43 scale from Hot Wheels. At SGD 20.00 (about USD 16.00 / 1,260 Yen) I guess it's a decent price though it can be a better deal if you buy this car when the shops offering 15% discount during one of those typical discount/sales promotion especially around the festive period. The painting finishing and exterior detailing is great while the interior detailing is as good as it should be. 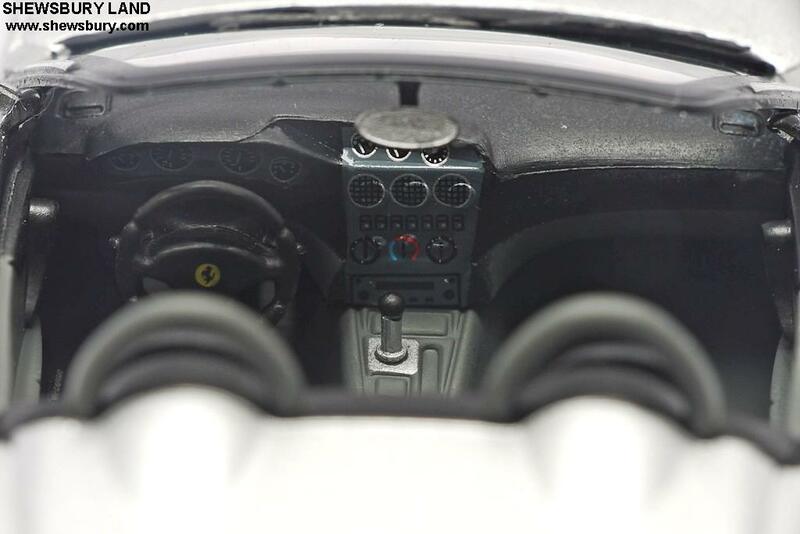 No complain what so ever. 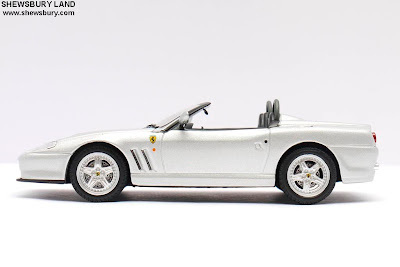 Last but not least, I found this picture from internet, this is how this "Ferrari 550 Barchetta" looks like with the temporary soft top which requires some time, energy and patient to put on. 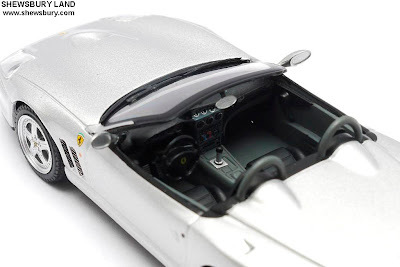 I personally feel it's kind of ugly though to see such soft top but then again that is the one and only solution for this roadster built by the Italian stallion - after all - this is a roadster - simple as that.